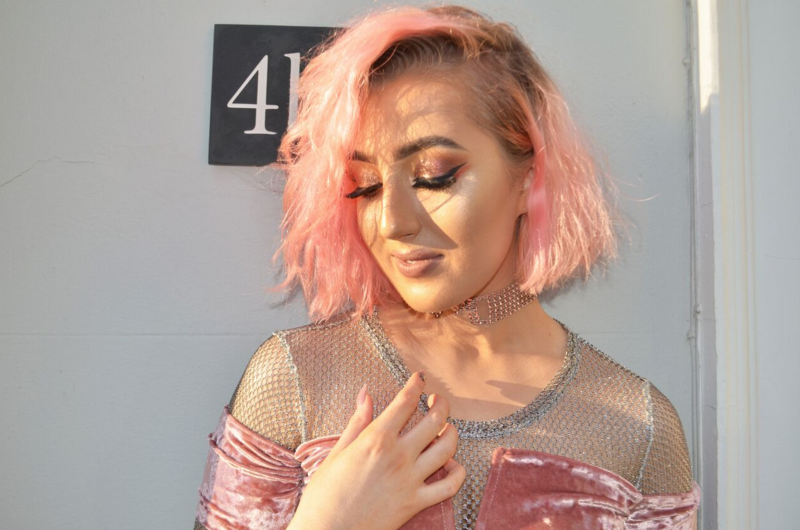 I’m a Personal Style and Beauty Blogger from Nottingham. 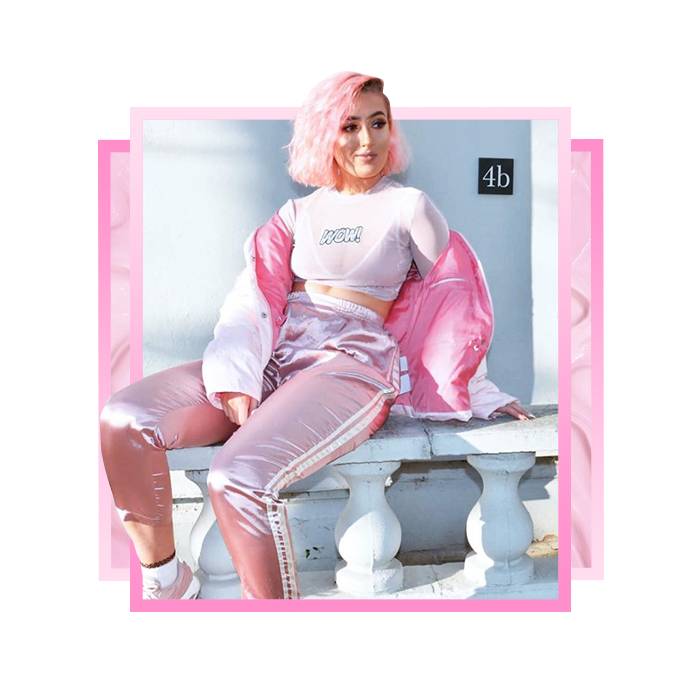 Freelance Fashion Stylist and Makeup Artist with a love for anything unique, pink or fluffy. I’d describe my style as all over the place. 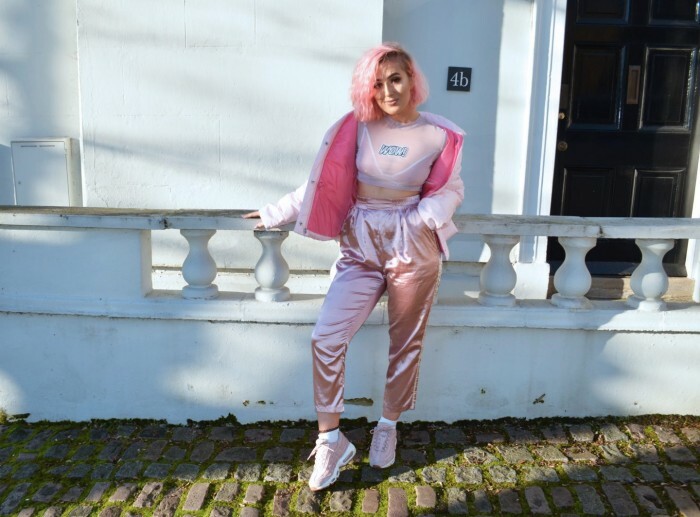 One minute I’m wearing a pink, fluffy, glittery co-ord and then you’ll catch me in a grunge-filled, leather combo; and other times I mix those styles together. I like to think I’m a fashion chameleon, it’s important to try out different styles. Don’t see other girls as competition, see them as inspiration and always be the best version of you. I LOVE GIRL POWER! I believe that surrounding yourself with positive and caring people is the first step, secondly make sure you’re doing something you love and are passionate about whether it’s your job or a hobby, lastly compliment others more often. Do you have any inspiring quote that you try to live by? I actually keep a little book of my fave quotes, I flick though it from time to time if I’m feeling a little down or lacking inspiration. One of my favourites is simply ‘you can do this’. I find it’s simple but extremely effective. Who would be in your #GirlGang? Baddie Winkle for sure and I’d love to join forces with The Confetti Crowd – they’re just so fabulous. Best comeback to the haters? I try not to waste my time on haters, I used to get really upset about it but now I just tell them to send their negative energy elsewhere. If you could give your younger self a a piece of advice what would it be? Always be yourself. I went through a stage of doing things to try and appeal to a certain audience and make others happy but at the end of the day, you’re only going to have yourself in the end! 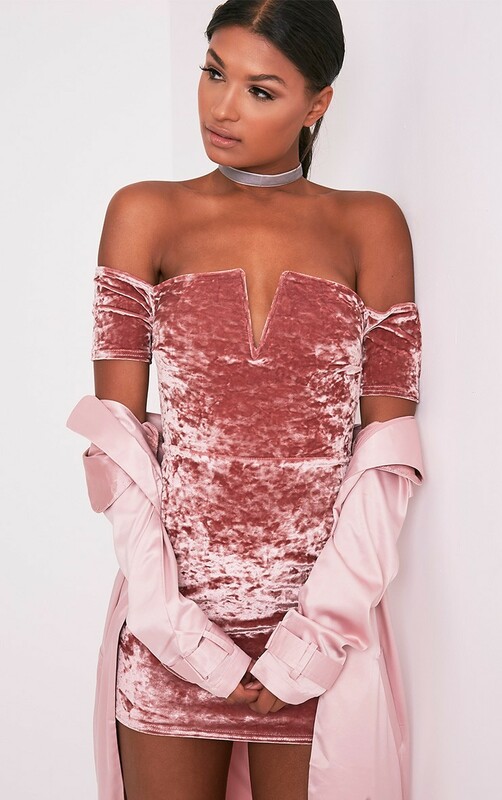 What are your favourite PrettyLittleThing pieces at the moment? EVERYTHING! 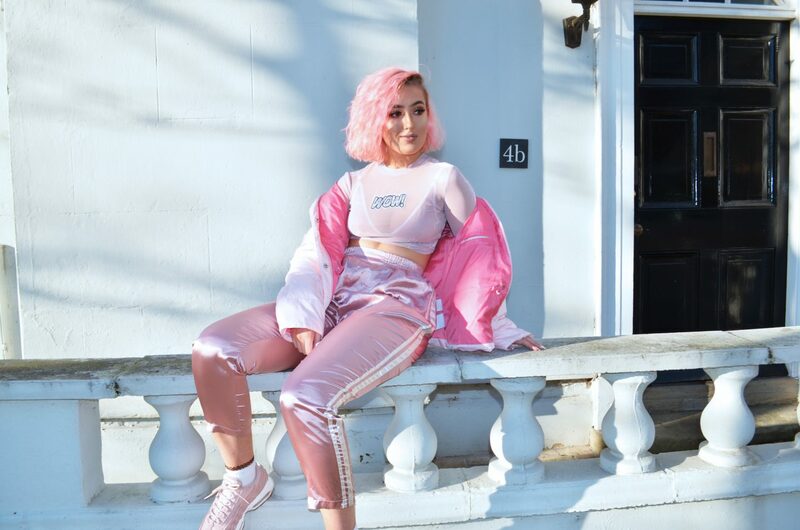 But my key fave pieces are the Kamillia rainbow sequin dress, the Houston slogan black lace tee (this is such a unique take on the classic band tee) and the Dollie green sequin crop top – this is just to die for! Do you have an item of clothing that is your fail-safe? That piece you just feel totally badass and confident in? I’d have to say either my pink silk trackies from PrettyLittleThing or my oversized gold puffa coat. 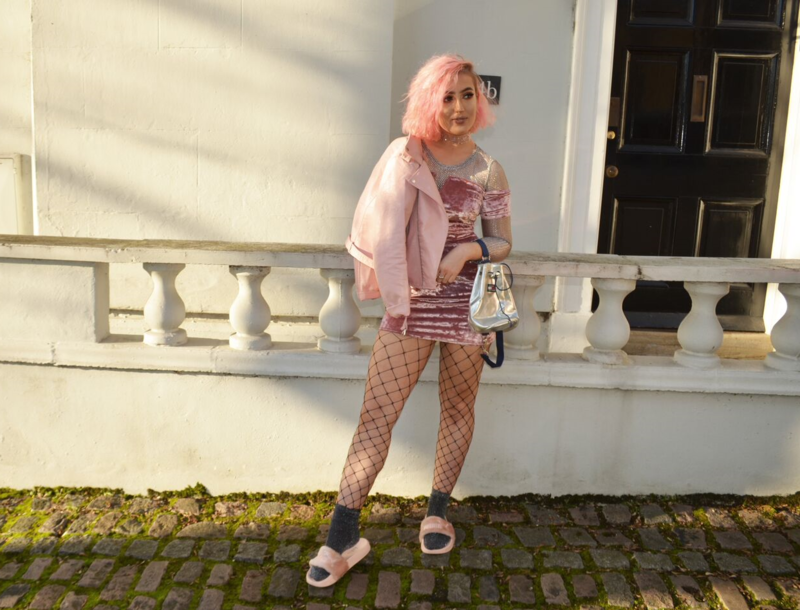 I sometimes even base my whole outfit around these pieces! Flamingos, glitter and orange eyeshadow.